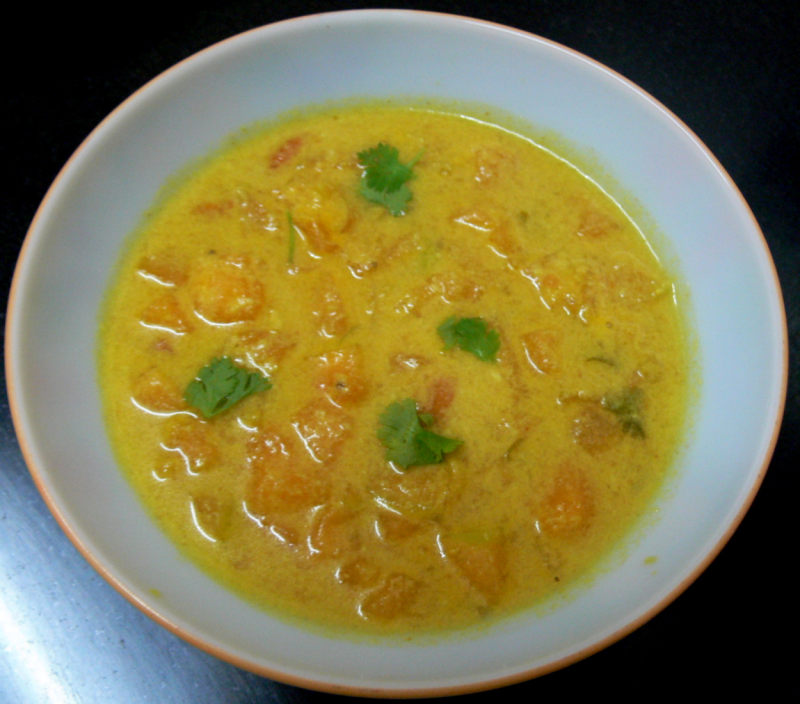 This tasty Melon curry needs 6-7 mins cooking time only. Heat coconut oil in a pan,fry mustard,cumin and fenugreek seeds. Add green chillies,chopped onions, chopped tomatoes,chopped curry leaves and coriander leaves. Add ginger-garlic paste,chilli powder,turmeric powder and salt and saute for a min. Add the second coconut milk and melon pieces and simmer for 3 mins. Then add the thick coconut milk and remaining coriander leaves and cook for 2-3 mins. Turn off the flame and sprinkle lemon juice on top. Serve hot with rice,idlis,dosa and chapathis.